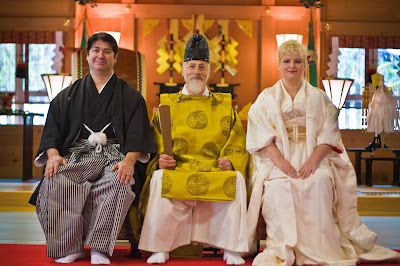 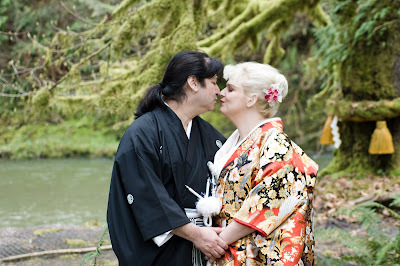 As we have previously written here, yours truly Louis Edward Rosas (American Mishima Author) was married to Tina Rosas in a traditional Japanese Shinto Wedding at the Tsubaki Grand Shrine of America in Granite Falls Washington State this past March 26th.The ceremony was officiated by the resident Guji(Shinto Priest) the Rev. 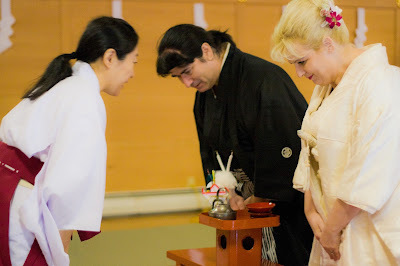 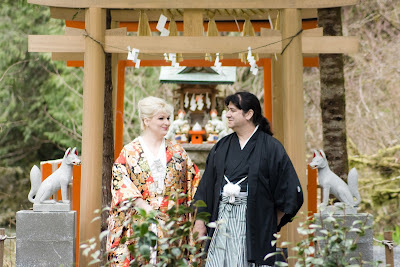 Koiichi Barrish and his wife Mrs. Chika Barrish. 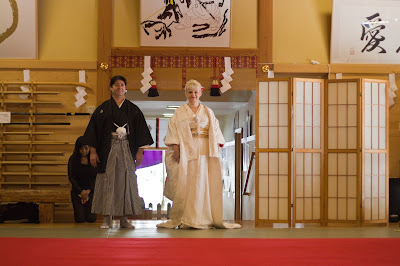 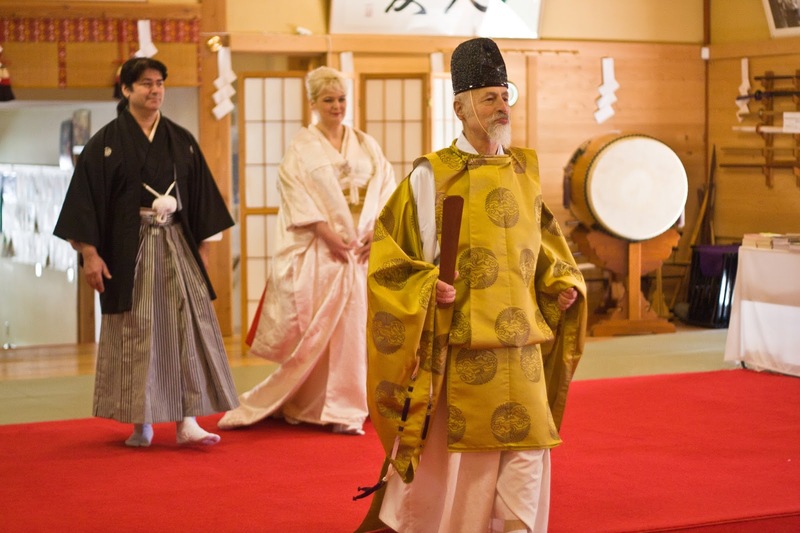 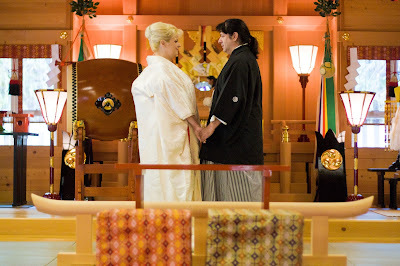 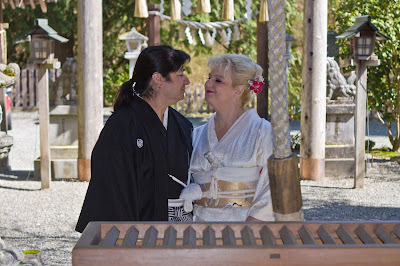 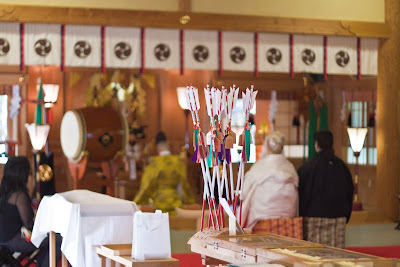 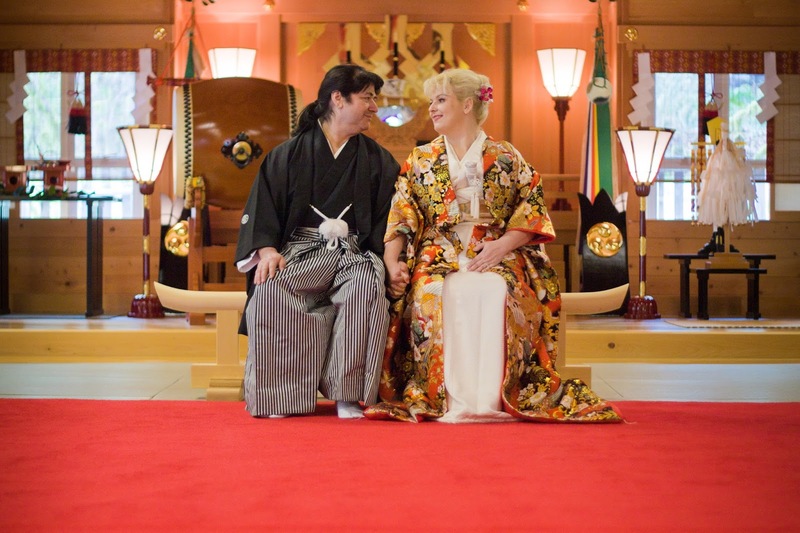 Photo's by resident Shrine Photographer Joe Melberg and Kimono Rental & Kimono Dressing by our friend Kiyomi of KOTOBUKI Kimono of Seattle. 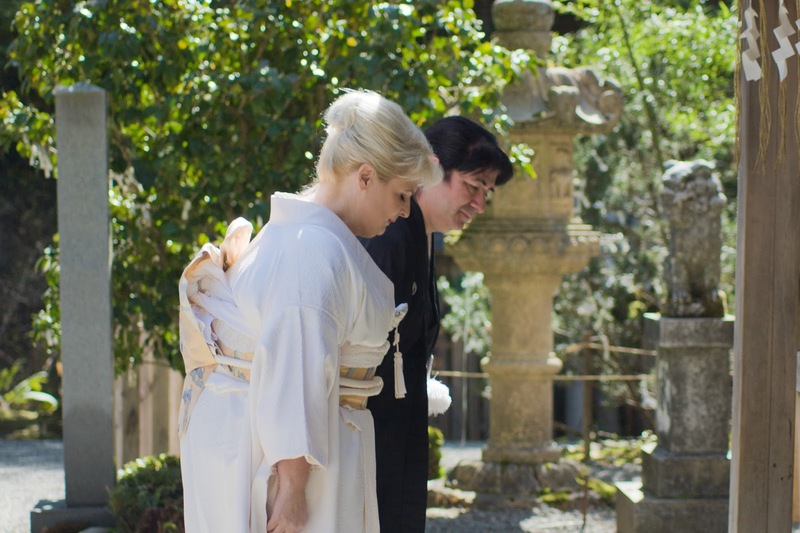 We could not have asked for a more beautiful ceremony. Everything was as if divined by nature. Tina and I hope to live many long years in happiness together.We hope you wish us the same.